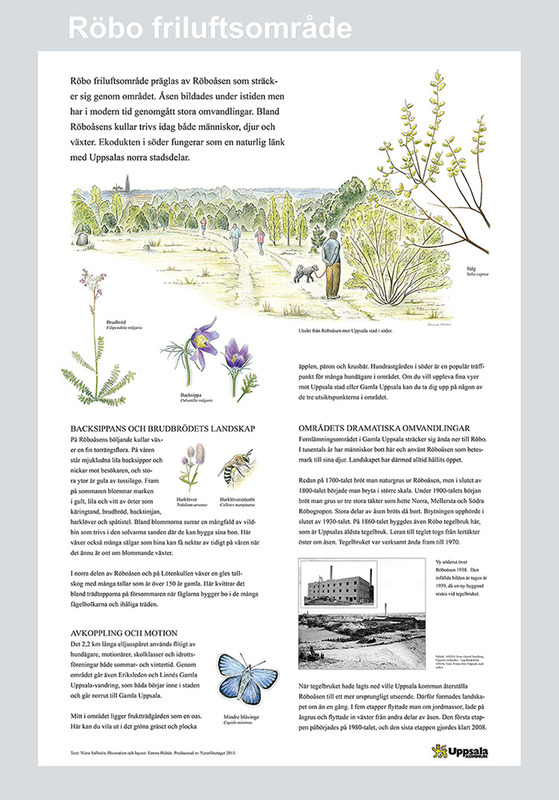 I make illustrations and layout for informations sign and folders. 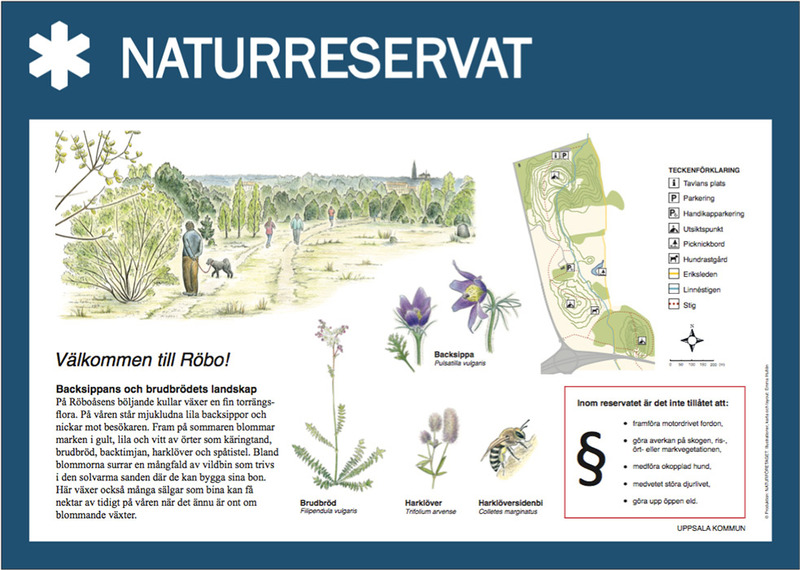 Information sign for Röbo Recreation Area. 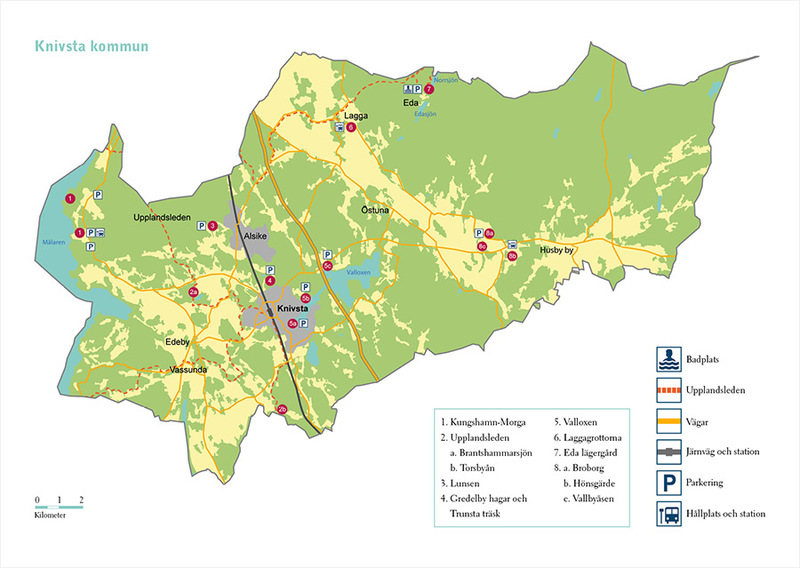 Uppsala Municipality. 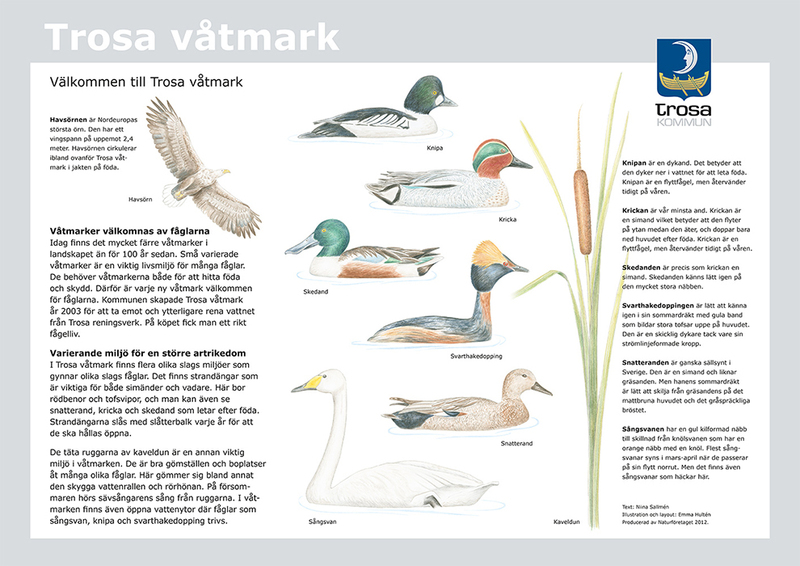 Information sign over Birds in Trosa Wetland. Trosa Municipality. 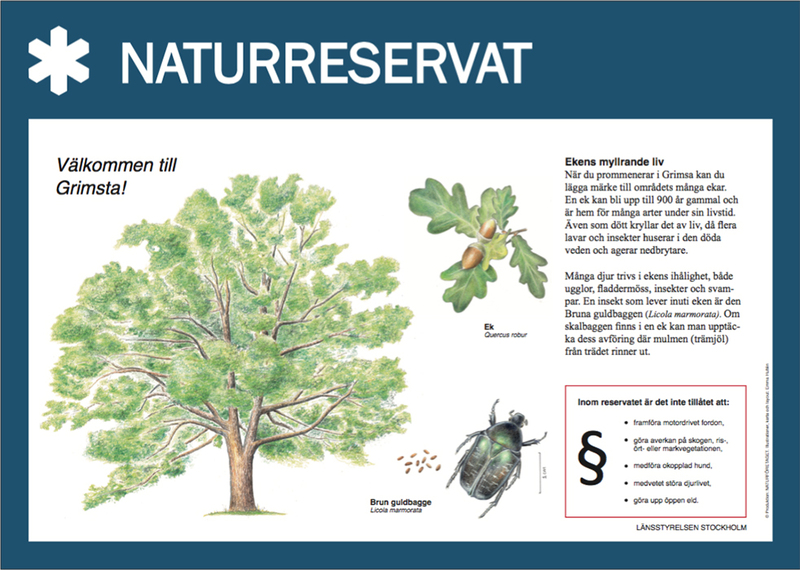 One of seven signs for Kräppladalen nature area. Ekologigruppen. 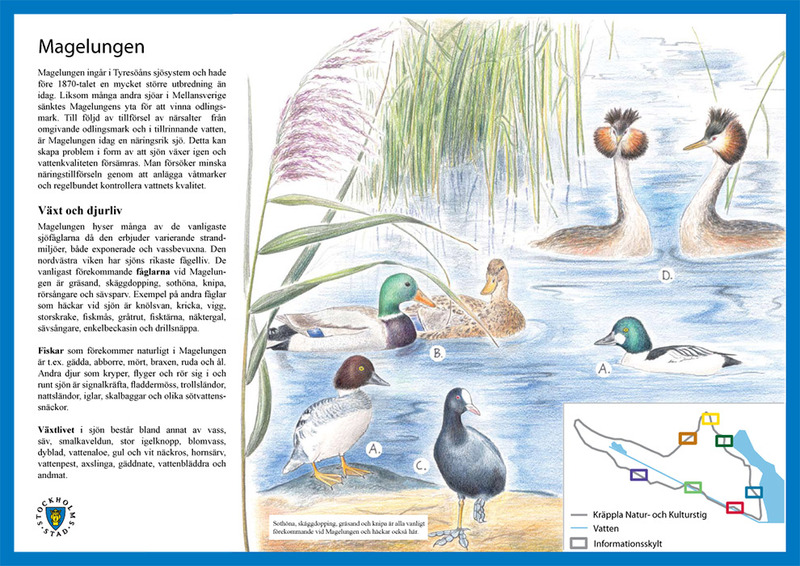 Layout example in standard Swedish National park design. 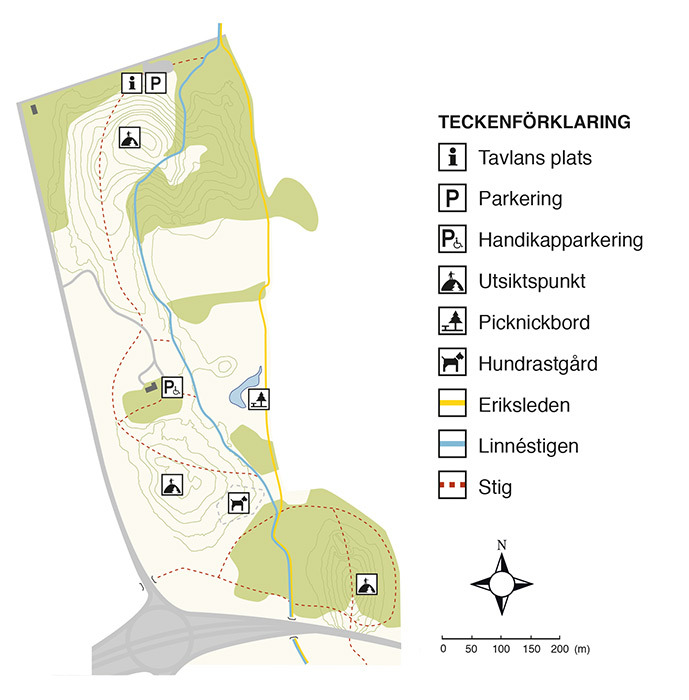 Map over Röbo Recreation Area. 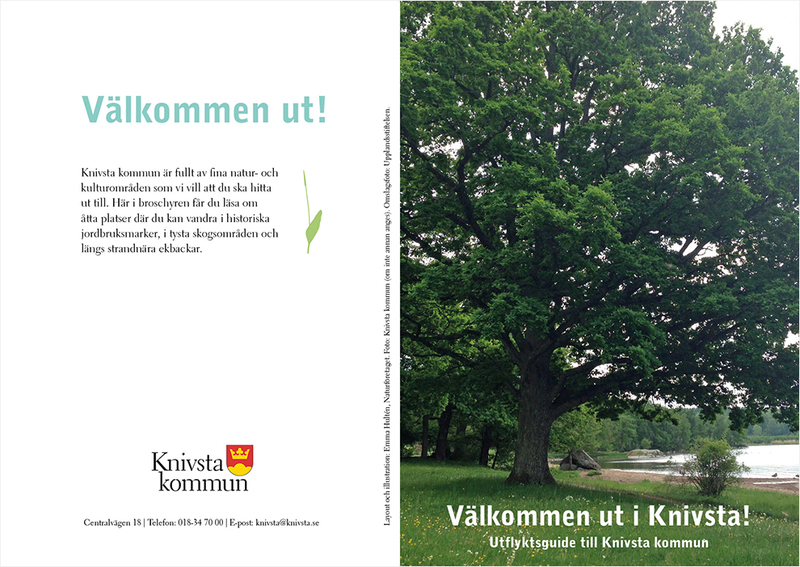 Cover of information folder of Knivsta nature areas. 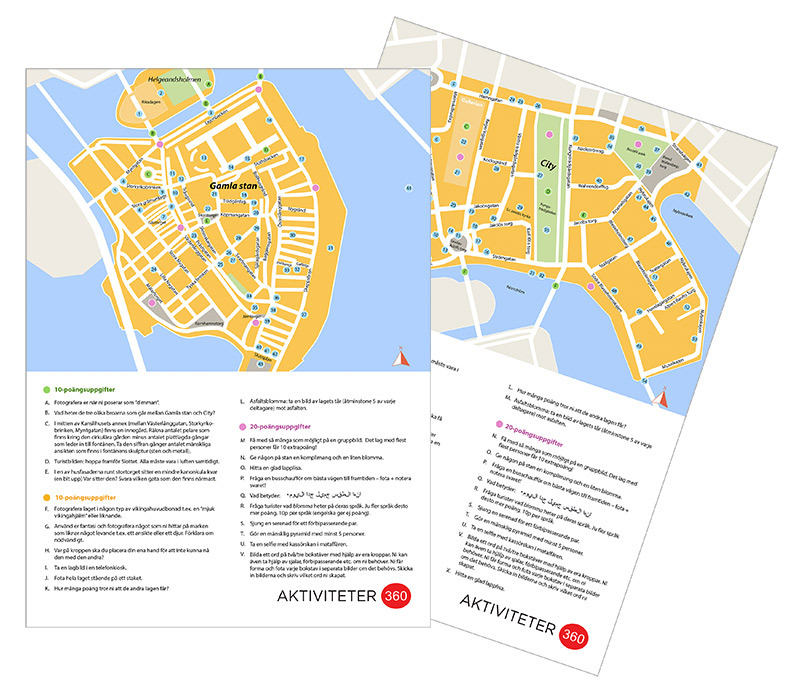 Map over Knivsta Municipality in the middle of the folder. 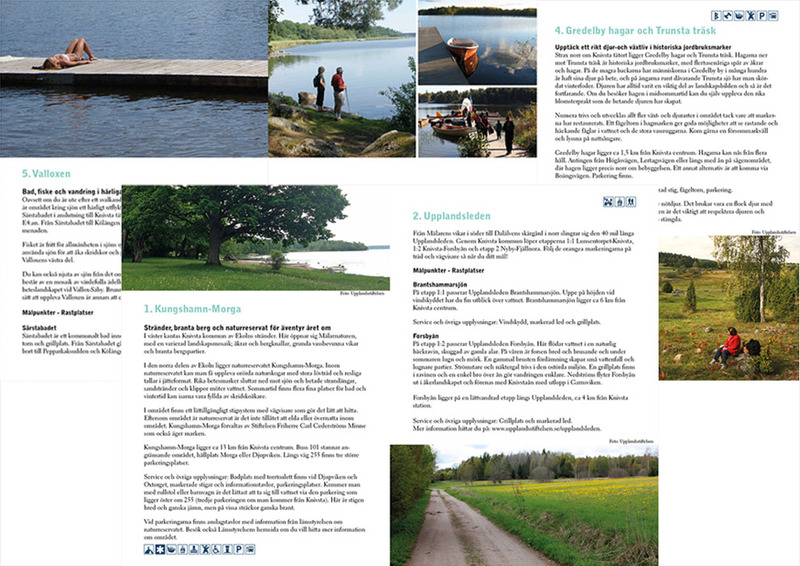 Pages inside of the folder. 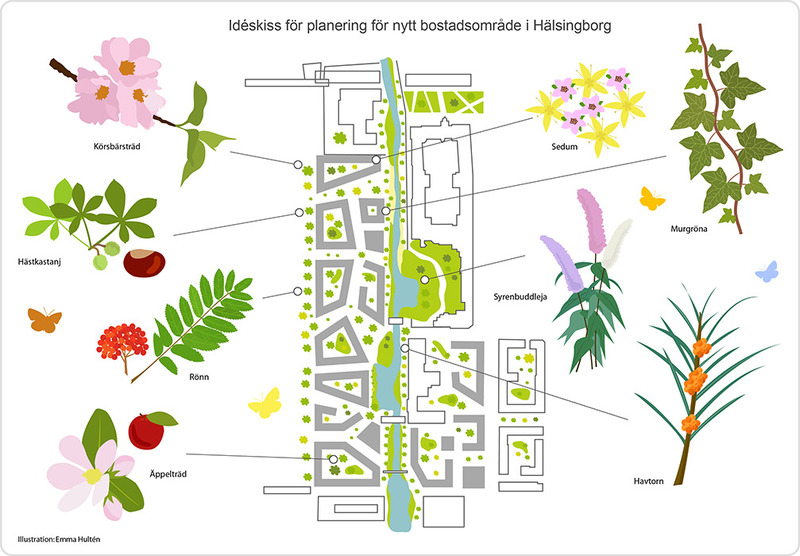 Planning and Idea sketch for the green parts to a new residential area in Helsingborg.